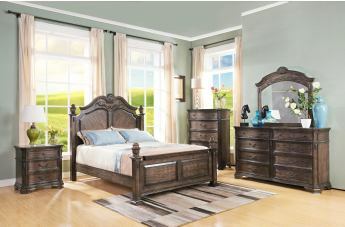 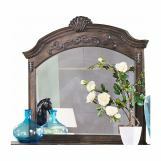 Enjoy time-honored style with this beautiful Larissa bedroom collection. 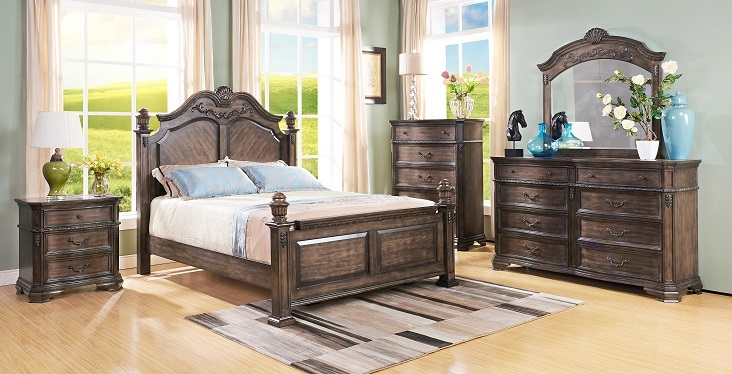 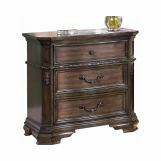 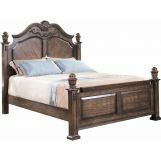 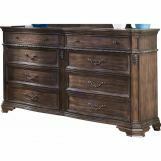 Constructed of solid hardwood and birch veneers, it features gorgeous wood details, ornate carvings, beveled glass, full extension glides, dovetail joinery, bail hardware and felt-lined top drawers. 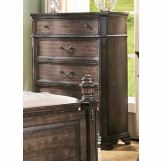 The weathered brown finish accentuates the gorgeous birch grain, lending a luxurious touch to any traditional setting.